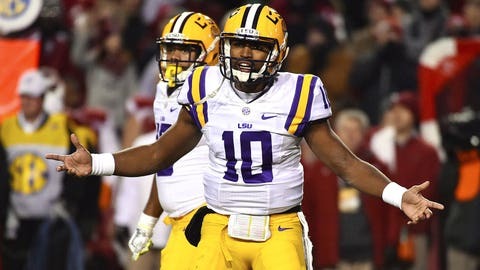 LSU Tigers quarterback Anthony Jennings could be reinstated soon if charges are dropped. The players have been suspended indefinitely, but coach Les Miles has expressed optimism they’ll be reinstated when the case is resolved. The student’s current preference to drop the case carries weight, but Moore said he still wants to review transcripts of what the student initially told police. ”I want to be able to explain it properly, to say, `This is what I found out,’ and put it to rest,” Moore added. Jennings started 12 of LSU’s 13 games last season, completing 49 percent of his passes for 1,611 yards and 11 scores against just seven interceptions.